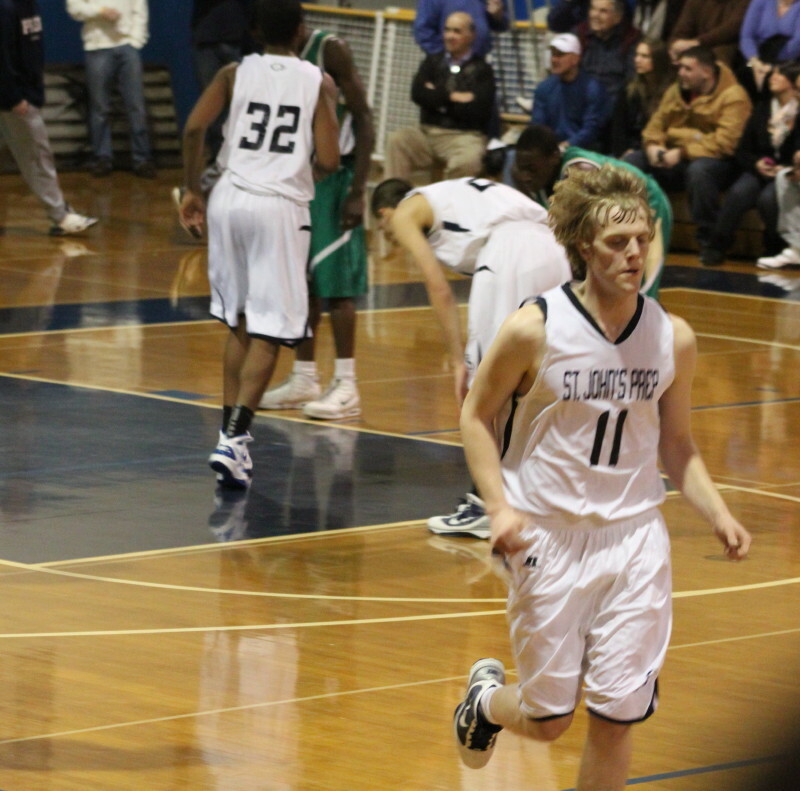 Pat Connoughton launches another 3 on his way to a game-high 28 points. (Danvers) You’d have to bet that St. John’s couldn’t play a better first 11 ½ minutes of a game. With everything working, the Eagles (2-0) jumped all over visiting Lynn Classical (1-1) on Sunday afternoon at St. John‘s. The final score was 88-59 but this one was over after 11 ½ minutes with St. John’s on top, 45-14. During the torrid stretch the Eagles made eight of twelve 3’s with just three turnovers while defending the Rams into nine turnovers and five-for-seventeen shooting. Notre Dame-bound Pat Connoughton (28 points) didn’t disappoint. The 6-5 senior played the point and drilled four from long-range in The Big Start including a buzzer-beater ending the first quarter. 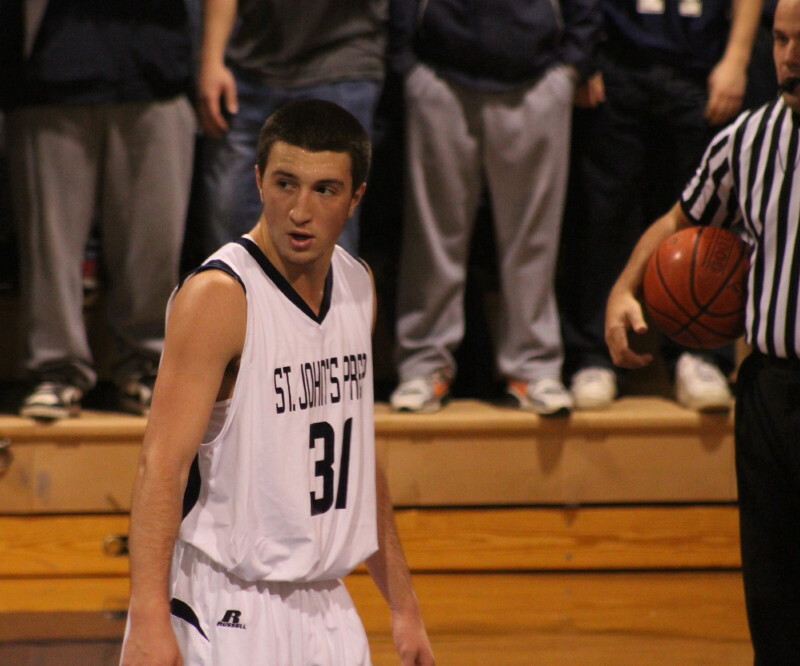 Junior Michael Carbone tallied 21 points including 14 in the decisive start. Junior Michael Carbone (21 points) can also stroke from downtown. He had fourteen of his points during the segment in which St. John’s was putting this one in the win column. The Eagle defense (full-court man-to-man) eliminated any organized offense the Rams might have wanted to run. St. John’s dominated enough of those one-on-one battles to force two excruciating scoring droughts for the Rams. One went for three minutes and a 4-3 deficit turned into a 21-3 deficit. A later cool-off over 2 ½ minutes changed a 29-8 deficit into a 41-8 rout. Never mind that Lynn Classical outscored St. John’s 45-43 after The Big Start. This game was over after 11 ½ minutes. Michael Carbone (31) and Nick Grassa (3) defended each other. (16 points) made a 3 and someone gave a referee an officiating tip which resulted in another technical. Some of that chippiness resurfaced in the third quarter when Nick got overly aggressive defending Michael Carbone resulting in a third technical foul. A very good crowd took the game in. Plenty of representation from schools ahead on either St. John’s or LC’s schedule. Even highly regarded New Mission had interested parties in the house. 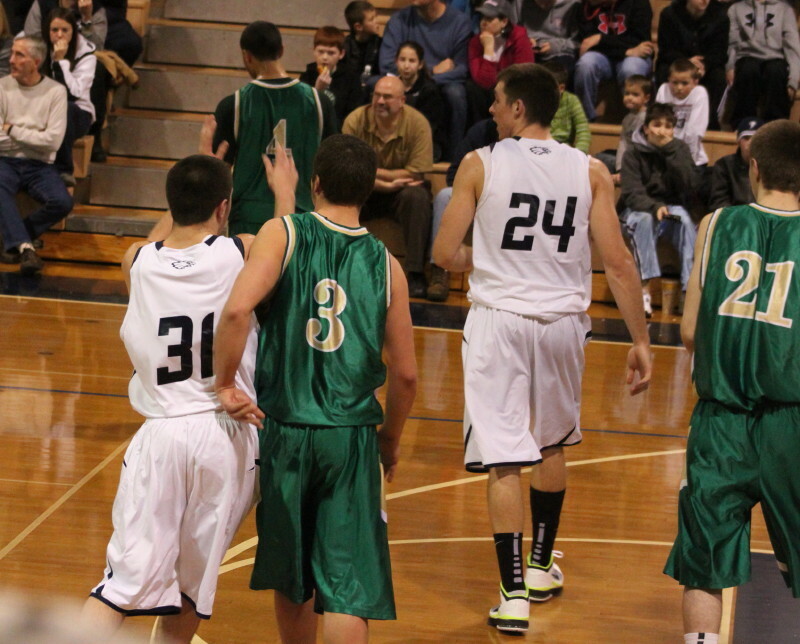 Juniors Freddy Shove (11) and Owen Marchetti (10) reached double figures for the Eagles. Carlo Buono (11) and Josh Cheever (10) did the same for the Rams. Both Owen Marchetti and Pat Connaughton went to the floor with apparent injuries in this one. Owen’s happened in the first half. 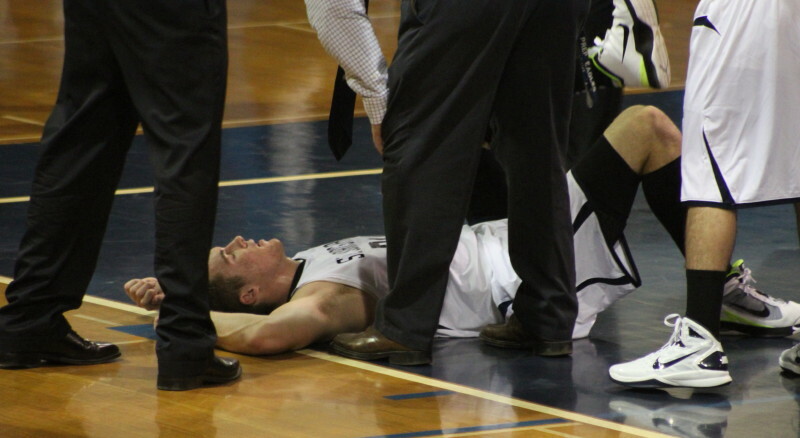 Pat Connoughton injured an ankle in the 4th quarter. Pat’s was with 5:21 left in the game and the Eagles in complete charge, 72-45. Seeing him stretched out on the floor with an ankle injury had to be plenty scary for anyone associated with the St. John’s program. Why he was still in the game at that late stage might be a question for Eagle coach Sean Connolly to answer.